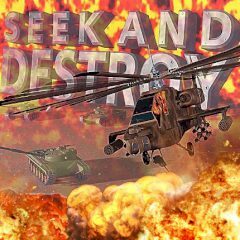 Start your mission with upgrading helicopter and proceed further with fully equipped machinery and destroy them all! Destroy enemies with rockets and machine guns and earn credits. These credits are used to upgrade aircraft and install modern weapons. Be ready to earn them!